A knowledge-building workshop on the biology and conservation tiger salamander with skills-building field training in prime CTS habitat. Pete Trenham, Ph.D. and Chris Searcy, PhD will present this workshop on the biology and conservation of the California tiger salamander (CTS) at the Elkhorn Slough National Estuarine Research Reserve. Dr. Trenham has published a variety of papers on the ecology and life history of the California tiger salamander and has taught this popular workshop on several occasions. Dr. Searcy has authored nine published papers on California tiger salamanders and recently began a new study on “Terrestrial habitat use by endangered Santa Barbara tiger salamanders” funded by the U.S. Fish and Wildlife Service. 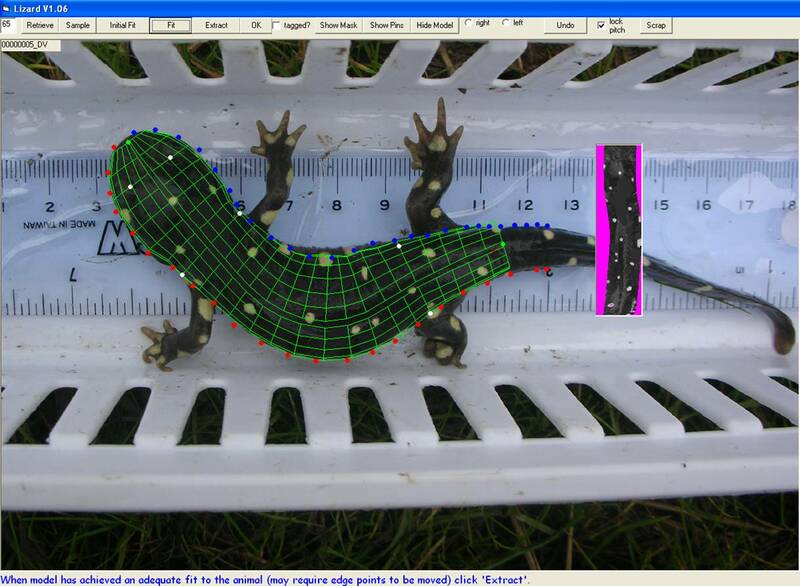 The classroom portion of this workshop includes digital presentations by both presenters on the identification, life history, movements, conservation, and management of the California tiger salamander. Presentations will be interspersed with discussion and small group exercises. The field portion of the workshop will include hands-on training on habitat assessment and survey techniques as well as in situ discussion about habitat management. Although the class normally encounters CTS and participants are able to handle the species, we cannot guarantee handling or pond sampling experience due to the stochastic nature of planet Earth’s biota as well as potential for failure of human systems beyond our control. Participants will need their own field equipment including dip net and waders (preferably chest waders with no holes) to practice sampling methodology. The workshop fee of $475 includes a classroom session on May 18, 8:00-3:30, at the Elkhorn Slough Reserve, and enrollment in one of two training sessions either May 18, 4:30-8:30 (directly after the workshop portion) or May 19, 9:00 - 1:00, at the Dorrance Ranch, outside of Salinas. Fee also includes coffee, lunch, refreshments, and handouts. how to apply information in large-scale and local conservation planning efforts. upland and aquatic site assessment. methods for assessing potential project impacts and approaches for avoidance and minimization. Participants will receive skills-based training in species identification, sampling techniques, and habitat requirements of the California tiger salamander. Pete and Chris will lead participants through a hands-on skill building exercises for conserving the species. It is important to note that no component of this workshop should be construed to apply to attendees’ ability to obtain permits related to the CTS; if you are interested in how workshop activities might be used for permitting, you are encouraged to contact your agency permitting representative. After you register, please email Grey Hayes (grey@elkhornslough.org) your preference for the field training practicum date. While we cannot guarantee your preference, we will do what we can to meet your desires. Due to agency permitting issues, we must limit the student:teacher ratio for each of the field training sessions, so we have to make sometimes difficult decisions in breaking the group into two. We will notify you of your assigned field practicum date by May 2. Deadline for payment is 5 p.m. Tuesday, April 25, 2017. If we have not received your payment at that time, your place may be forfeit to someone on our waiting list. We will refund cancellations prior to April 25 minus a $50 processing fee; we cannot refund any fees after that date. We reserve the right to cancel the workshop prior to April 27, 2017; in that event, we will give full refunds. We ask you not to cancel after the registration deadline; if you sign up, please show up so as to not waste valuable resources. Repeated failure to adhere to these policies may jeopardize a person’s future ability to enroll in our programs. We do not allow third party registration- register only yourself! Registration is email sensitive; registering others frequently results in cancellation, missed communication, and other issues. Because large, wealthy organizations have in the past reserved large blocks of seats, excluding others from attending, only to cancel those reservations, we do not allow registration 'trading,' even to persons within the same organization. Please let us know as soon as you know if you have registered and cannot attend as there is usually an extensive waiting list for our trainings and we use substantial funds to subsidize workshop expenses, helping to make them more affordable. Can California Ranchers Save The Tiger Salamander? Urban Herpetology, Herpetological Conservation, Mitchell, J.C., and R.E. Jung Brown (Eds.). Society for the Study of Amphibians and Reptiles, Salt Lake City, Utah, USA. The origin of tiger salamander (Ambystoma tigrinum) populations in California, Oregon, and Nevada: introductions or relicts?